Many hands make light work! Time to pitch in and get the clubhouse and property ready for the upcoming sailing season! Tender times are being arranged with the Toronto Island Marina. 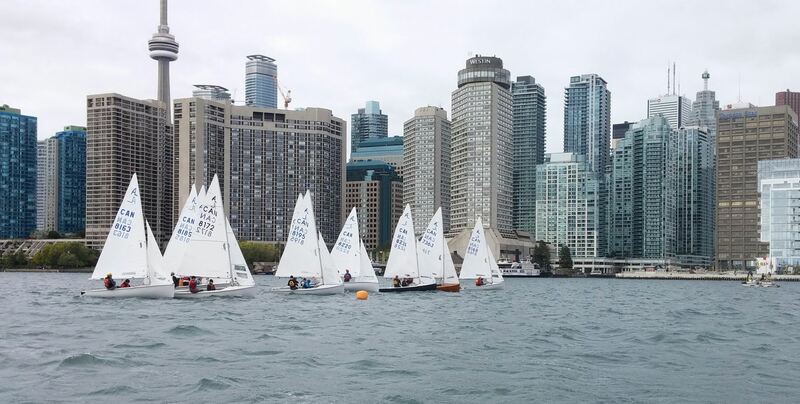 This is the official event sign-up for those Skippers & Sr. Helms who expressed interest in the one and a half day training course led by a Certified Sail Canada Learning Facilitator. This is the abbreviated version of the course used to train candidates trying to become instructors within the CANSail certification system which is the Provincial and National standard. There are checklists and rubrics of skills divided into 6 levels. These levels are what Canadian coaches use across the board. Instructors needing to evaluate and certify these levels must complete a 2-weekend CANSail Instructor Clinic for the appropriate level. Our sessions will be a crash course in this system with some good take home points and techniques. It will hopefully make us all better coaches and help standardize our system so that we can move our members through the ranks and help them develop sailing skills. The majority of the cost will be absorbed by our club working within our budget parameters for this year. Unfortunately we will not be able to cover the entire cost so all participants will need to pay $8.85 + HST for the sessions. Please be advised that you must be a fully paid 2019 Sailing Member before Apr. 28, 2019 in order to participate in this course. Contact the Racing Director if you have any questions! Sign-up to be part of the race committee for a TISC hosted Harbour Master Race. Its a great way to get introduced to racing and meet other club members. No experience required. - all members are encouraged to volunteer! As a bonus, there's usually a fun "Apres-Race" and BBQ after! The race starts at 1:00pm so please take the 11:30am (or earlier) tender. Sign-up to be part of the race committee for the TISC Regatta! Its a great way to get introduced to racing and meet other club members. No experience required - all members are encouraged to volunteer! The race starts at 11:00am so please take the 9:30am (or earlier) tender. 16 Jul 2016 Feeling Knotty? 21 May 2016 First BYOBBQ of the Year – Ready! Set! Wear it! 01 Aug 2015 TISC BYOBBQ - All Things Red and/or White!